FORBES: The Swiss have the fattest wallets while Eastern Europeans still make do with meager wages. LONDON -- Like the feeling of a hefty wage packet? Move to Switzerland. That's where you'll find the two cities with the highest-paid workers in Europe, according to a new survey of wages that was released on Wednesday. 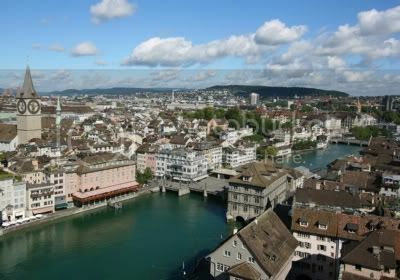 Residents of Zurich, in the German-speaking part of the country, earn an average $22.60 an hour after taxes, while Geneva's French-speaking citizens earn an average $20.40 an hour. Salaries are not so first-rate in Kiev, Ukraine. It ranks last. Workers there earn a measly $2.40 an hour on average, or just over a tenth of what the Swiss earn. THE TELEGRAPH: Beneath its idyllic exterior, Martha's Vineyard – beloved holiday destination of America's well-heeled – is rife with depression, alcoholism, drug abuse and domestic violence. 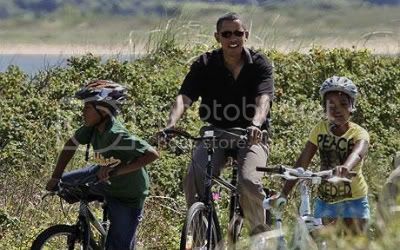 America's First Family will wave goodbye to Martha's Vineyard tomorrow after a week's holiday on an island whose name is rarely uttered without the epithet "idyllic". As President Obama flies his family back home to Washington, they will rapidly be followed by an armada of private jets from the tiny local airport. After next weekend's Labour Day holiday, the exodus of billionaire businessmen, media tycoons and Hollywood stars who summer on the island will be complete. From Oprah Winfrey and Beyonce to Valerie Jarrett and the Clintons, they'll all be gone. In a matter of days, the island's population withers from 100,000 to just 15,000. More than a few of the quitters must feel a twinge of jealousy for those lucky few left behind on the 23-mile island. They shouldn't. The reality of out-of-season – and that in holiday-starved America means any month outside July and August – is anything but a paradise for most of those left behind. Martha's Vineyard's dark little secret is one of desperately high levels of depression, alcoholism, drug abuse, domestic violence and even suicide attempts among a population that struggles to make ends meet in a billionaire's playground when the billionaires have all left. The last time the island's social problems were publicly totted up – in 2005 - the number of cases of patients treated each year in hospital for alcohol or drug abuse had soared from almost 200 in 2002 to just over 750 three years later. The caseload of patients struggling with depression had grown from 40 in 2002 to 92 in 2005. Suicide attempts climbed almost tenfold, from three in 2002 to 29 in 2005. 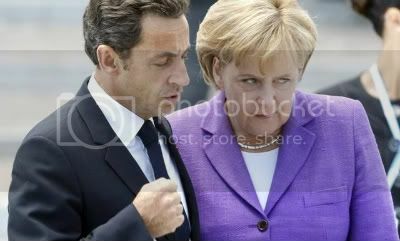 SPIEGEL ONLINE INTERNATIONAL: France, Germany and the EU are launching a major offensive to change the system of bonuses paid out to bank employees. Knowing that it won't work anywhere if it isn't implemented everywhere, they are hoping to make it a major issue at the upcoming G-20 summit in Pittsburgh. The debate surrounding bankers' bonus payments has finally reached Brussels. In an interview with the daily Hamburger Abendblatt, European Commissioner for Enterprise and Industry Günter Verheugen said that the European Union will reach an agreement very soon on limiting the income of bank managers. Verheugen also told the paper that the European Commission believes that, when it comes to a bank's system of compensation, there should be "no direct relation with a company's short-term profits." Instead, he is confident that the EU's member states and parliament will be able to reach a swift agreement on the issue. SPIEGEL ONLINE INTERNATIONAL: Billions have been pumped into the former East Germany, but 20 years after the fall of the Berlin Wall, its economy has not caught up with the West. A new report praises the progress so far but warns that the region needs well-educated young people and an influx of immigrants if it is to thrive. When the Berlin Wall finally fell in November 1989, a wave of hope and optimism swept across Europe -- perhaps nowhere more so than in the once divided Germany. Hope, however, soon gave way to disillusionment as the collapse of the Socialist planned economies saw millions of people lose their jobs and many became nostalgic for their old way of life. In Germany, despite the pumping of massive funds into the former Communist East, the stark divisions in income and employment between the two halves of the country rapidly undermined the initial wave of enthusiasm for reunification. THE TELEGRAPH: Governor Arnold Schwarzenegger is holding an online "garage sale" in his latest attempt to balance California's budget. California's $85bn (£52.5bn) budget has a deficit of $26bn (£16bn). In his latest move to boost his state's ailing economy, Mr Schwarzenegger is offering 6,000 items - ranging from cars to computers to binoculars - for auction on the eBay and Craigslist websites. BERNER ZEITUNG: Deutschland und Frankreich wollen beim G-20-Gipfel in Pittsburgh am 24. und 25. September gemeinsam auf internationale Regeln zur Begrenzung von Bonus-Zahlungen für Banker dringen. Bundeskanzlerin Angela Merkel (CDU) sagte in einem N24-Interview, es sei «schon ärgerlich, dass heute auf dem Bonus-Gebiet fast genauso weitergemacht wird in einigen Banken wie das vorher war». The recession is over. The stock market is powering ahead, business confidence is rising and – joy of joys – house prices are looking up. Sit back, relax and bask in the late summer sunshine. The UK is about to enjoy a spectacular V-shaped recovery. Worried about your debts? Fear not, we'll have ultra-low interest rates for years to come. The world's leading central bankers just said so. No need to save, then – we Brits can borrow and spend our way out of trouble. Again. I'm not, by nature, pessimistic. I'd really like to say the economy is out of the woods. If I could see signs of genuine growth, I'd shout about them from the rooftops. But I can't honestly say I do. Instead, I see lots of stockbrokers, estate agents and other vested interests talking up "imminent recovery" with no reference to fundamental economic realities. While desperately wanting to believe the "green shoots" brigade, ordinary households are struggling to remortgage and otherwise viable firms still can't access working capital. Amid the City's summer euphoria, the wider economy continues to haemorrhage jobs – with all the associated fiscal fall-out, to say nothing of the human misery. Having enjoyed a six-day rally, UK shares have just hit their highest level since Lehman Brothers' collapse last September. This latest price surge is the centrepiece of claims we'll soon return to the sunlit economic uplands. Yet this stock market upswing is based on little more than hype. Shares have risen in part due to firms imposing one-off cost savings – such as cutting their head count – but mainly because of unprecedented Government intervention. Any beneficial impact of our wildly expansionary fiscal and monetary stance will soon be over. Once the sugar rush fades, and global investors are back from their summer break, asset prices will start reflecting the far more significant downsides of the UK's reckless policy of printing money and racking up ever more Government debt. Germany's Central Council of Jews has accused Liechtenstein's Prince Hans-Adam II of making a "mockery" of the Holocaust by saying bank secrecy in his principality had helped save many Jews during World War II. 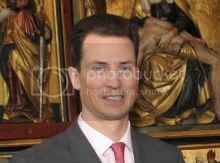 The prince made the comments in an interview with the Liechtensteiner Volksblatt newspaper, saying Liechtenstein and Switzerland had "saved the lives of many people, especially Jews" thanks to their bank secrecy laws. He added Germany "should think about its own past" before attacking Liechtenstein and other countries for banking policies that Berlin says encourage tax dodging. Germany's Central Council of Jews sharply criticized the comments on Monday, describing them as a misrepresentation of the historical record. "The comments make a mockery of the Holocaust and those that survived it," Stephan Kramer, general secretary of the Council, told the Bild daily. "It is an attempt to use the Holocaust as a defense for the prince's political failures. 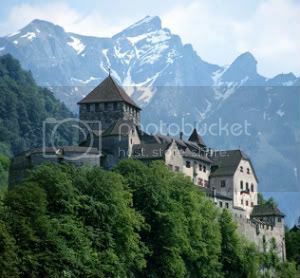 Portraying Liechtenstein as a merciful helper of the Jews does not chime with the historical facts." THE INDEPENDENT: Stock markets across the world plunged into the red today as jittery investors sold off stock amid fears over US consumer spending. A 1.5 per cent slump in London and falls in Japan were followed by a hefty decline on Wall Street, putting a dent in gains that have seen markets recover to levels not recorded since the onset of financial crisis. The benchmark Dow Jones Industrial Average plunged in early trading, falling 182 points - or 2% - to 9,134.28 by mid morning. New York opened today on the back of a 3% drop in the Nikkei in Tokyo and amid tumbling stocks in the FTSE 100. LE FIGARO: Fini les jeudis et vendredis chômés en Algérie. A partir de cette semaine, le repos hebdomadaire sera respecté le vendredi et le samedi. Une mesure visant à s'adapter à l'économie des pays occidentaux. Marche arrière. 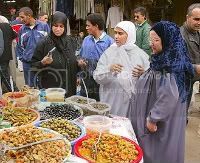 Plus de trente ans après avoir fixé au jeudi et vendredi le repos hebdomadaire obligatoire pour se démarquer des pays occidentaux, l'Algérie décale son week-end. A partir de cette semaine, le repos obligatoire devra être observé le vendredi et le samedi. Une mesure décrétée en Conseil des ministres le mois dernier pour adapter l'économie du pays à celles des pays occidentaux, et en particulier de l'Union européenne, avec qui l'Algérie a réalisé plus de la moitié de ses échanges en 2008. LOS ANGELES TIMES: Obama and officials say it is not 'essential' to the overhaul. Insurance exchanges or cooperatives would be likely to replace it. Reporting from Washington - The Obama administration signaled Sunday that it was on the verge of abandoning a government-run insurance option in its healthcare overhaul -- a bow to political reality and a big win for insurers. But some experts said that may not completely relieve pressure on insurers to deliver cost savings. Both Health and Human Services Secretary Kathleen Sebelius and White House Press Secretary Robert Gibbs said on Sunday talk shows that a government insurance option was not essential -- one day after President Obama himself said as much. Private-sector options, such as insurance exchanges or cooperatives, would be likely to replace it. Obama already has proposed forming exchanges -- virtual marketplaces where private insurers would compete for consumers' business. And co-ops would allow consumers to band together to negotiate coverage. 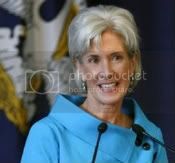 Sebelius told CNN's "State of the Union" that a public option is "not the essential element" of healthcare overhaul, but that lowering insurance costs and preventing insurers from dumping customers for preexisting conditions or for exceeding coverage caps are must-haves. "I think there will be a competitor to private insurers," she said. "That's really the essential part, is you don't turn over the whole new marketplace to private insurance companies and trust them to do the right thing." Gibbs agreed, describing the "bottom line" for the president: "What we have to have is choice and competition in the insurance market." NATIONAL REVIEW ONLINE: Piling up debt, gaffes, and hypocrisy, Obama & Co. are sinking. We are witnessing one of the more rapid turnabouts in recent American political history. President Obama’s popularity has plummeted to 50 percent and lower in some polls, while the public expresses even less confidence in the Democratic-led Congress and the direction of the country at large. Yet, just eight months ago, liberals were talking in Rovian style about a new generation to come of progressive politics — and the end of both the Republican party and the legacy of Reaganism itself. Barack Obama was to be the new FDR and his radical agenda an even better New Deal. What happened, other than the usual hubris of the party in power? First, voters had legitimate worries about health care, global warming, immigration, energy, and inefficient government. But it turns out that they are more anxious about the new radical remedies than the old nagging problems. They wanted federal support for wind and solar, but not at the expense of neglecting new sources of gas, oil, coal, and nuclear power. They were worried about high-cost health care, the uninsured, redundant procedures, and tort reform, but not ready for socialized medicine. They wanted better government, not bigger, DMV-style government. There is a growing realization that Obama enticed voters last summer with the flashy lure of discontent. But now that they are hooked, he is reeling them in to an entirely different — and, for many a frightening — agenda. Nothing is worse for a president than a growing belief among the public that it has been had. Second, Americans were at first merely scared about the growing collective debt. But by June they became outraged that Obama has quadrupled the annual deficit in proposing all sorts of new federal programs at a time when most finally had acknowledged that the U.S. has lived beyond its means for years. They elected Obama, in part, out of anger at George W. Bush for multi-billion dollar shortfalls — and yet as a remedy for that red ink got Obama’s novel multi-trillion-dollar deficits. 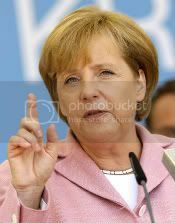 THE TELEGRAPH: Despite the recession and claims that she is "boring", the German Chancellor is on her way to a second term, report David Wroe in Berlin and Colin Freeman. The unfashionable bowl haircut has been shaped into an elegant bob, and the frumpy hausfrau dresses replaced with smart designer outfits. For someone who started out in office wearing less make-up than Tony Blair, Angela Merkel, the German Chancellor, has certainly yielded to the image consultants over the years. Yet in a political scene dominated by men, Germany’s first-ever woman leader has long made it clear that she prefers to be judged not on her looks or personality, but on her policies. So when a series of election posters appeared last week, showing her in a revealing low cut dress, the response from her office was as predictable as it was icy. The pictures, put up by a well-intended parliamentary candidate for Ms Merkel’s own party, were “not authorised”, said a spokesman - despite them enlivening a lacklustre campaign. One item on the offending posters, however, might well have won Ms Merkel’s endorsement - the printed strapline across her bosom, declaring “We have more to offer”. 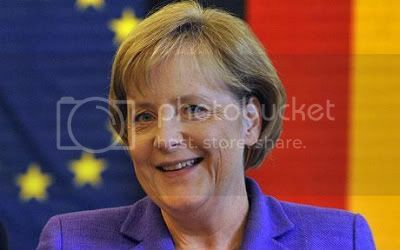 After four years in office, the woman dubbed the Teutonic Margaret Thatcher is enjoying popularity ratings that are the envy of other European leaders - and is almost certain to secure a second term in next month’s elections. FRANKFURTER ALLGEMEINE ZEITUNG: Nach der unerwartet guten Wachstumsrate für das zweite Quartal von 0,3 Prozent äußerten am Sonntag Konjunkturforscher und Wirtschaftsvertreter die Hoffnung, dass die diesjährige Rezession nicht ganz so tief wird und die Zahl der Arbeitslosen weniger stark steigt als zunächst befürchtet. TRIBUNE DE GENÈVE: FÊTE NATIONALE | Dans son discours, le prince Aloïs appelle à considérer cette voie comme une chance pour la Principauté. Le Liechtenstein est sur la bonne voie en matière de collaboration internationale pour les questions fiscales, estime le prince héritier Aloïs dans son discours à l'occasion de la fête nationale. Il appelle à poursuivre sur ce chemin et à le considérer comme une chance. Inscrit, comme la Suisse, sur la liste grise des paradis fiscaux de l'OCDE, le Liechtenstein a depuis mars entrepris de négocier des accords bilatéraux sur l'échange d'informations fiscales. En s'adaptant aux standards de l'OCDE, la principauté a entamé un processus de transformation de sa place financière qui n'est pas facile, a reconnu Aloïs. THE TELEGRAPH: A propaganda war is masking the real problems over health care reform, says Toby Harnden. If Stephen Hawking had been treated in Britain, he would not have survived to be awarded his Presidential Medal of Freedom by Barack Obama yesterday, because the NHS "would say the life of this brilliant man, because of his physical handicaps, is essentially worthless". That was the thundering verdict of the Investor's Business Daily on our National Health Service and Mr Obama's plans to introduce what Republicans term "socialised medicine". It was, as scientists sometimes say, a beautiful hypothesis destroyed by a single ugly fact. Professor Hawking, who is completely paralysed by motor neurone disease, has been treated by the NHS throughout his 67 years, and points out indignantly that he would not have lived without its care. Much of the conservative contribution to the health care debate raging in the United States, which is dominating a long, hot summer, has been as misguided as that newspaper editorial. With the battle lines drawn, and President Obama staking his credibility on achieving a comprehensive reform that delivers health insurance to the tens of millions without it, Democratic members of Congress are facing the wrath and anxiety of their constituents – who are being urged on by opponents of reform. Sarah Palin, who recently resigned as Alaska's governor but remains the darling of rural conservatives, invoked the spectre of a "death panel" pronouncing on whether her baby Trig, who has Down's syndrome, should be allowed to live. Senator Chuck Grassley of Iowa suggested that this was what happened in Britain. "I've heard several senators say that Ted Kennedy with a brain tumour, being 77 years old … if he were in England, would not be treated… when you get to be 77, your life is considered less valuable under those systems," he said. In a television ad from the Club for Growth pressure group, a narrator intones portentously as images of Big Ben and the Union flag appear on the screen: "$22,750. In England, government health officials decided that's how much six months of life is worth. Under their socialised system, if a medical treatment costs more, you're out of luck. That's wrong for America." Cue the Statue of Liberty and the Stars and Stripes. TIMES ONLINE: The City watchdog was accused of giving banks a green light to continue paying multimillion-pound bonuses yesterday when it backed away from introducing tough rules to curb excess pay. The Financial Services Authority’s proposals on City pay embarrassed Gordon Brown, who had promised to sweep aside the bonus culture in the financial sector. Opposition politicians branded the FSA’s new proposals a capitulation. The Treasury also indicated that they did not go far enough. Some of the most onerous provisions in the FSA’s original proposals from March have been softened. Under the new guidelines the banks must link risk and reward. But they will have more freedom to structure bonus packages than was previously suggested and many bank executives and some smaller City firms are excluded from the plan altogether. The row came as unemployment rose to a 14-year high and the Bank of England admitted that the recession was deeper than previously thought and that recovery would be slow, partly because banks were still not lending enough money. THE TELEGRAPH: The majority of top US brands are using Facebook to promote their products, dispelling the myth that the social networking site is an unattractive environment for advertisers. According to Facebook, 83 of the top 100 advertising spenders in the US, as ranked by AdAge, the research group, use the site and have signed commercial partnerships. Brands such as Nike, Coca-Cola and Starbucks, advertise across the site in a variety of ways. Many brands also have their own profile pages which they do not have to pay for and often boast several millions fans. This facilitates a lot of commercial activity on people’s personal pages, often without them thinking of it in that fashion. Starbucks, for instance, has more than 3.7 million fans on its page. The news appears to counter the initial hesitancy many advertisers felts about promoting their brands via the popular social network – for fear of their logos appearing alongside inappropriate or offensive material. THE GUARDIAN: Barclays and HSBC made a passionate defence of the City's bonus culture yamid [sic] a growing public backlash about the return to a big pay bonanza barely a year after the government bailed out the financial system. As criticism of bonuses crossed the traditional political divide, the banks compared their high-flyers to footballers and Hollywood stars to try to explain the need for the hundreds of thousands of pounds individuals are expected to receive this year. Neither bank gave figures about potential bonuses for investment banking staff, but a jump in profits in both operations led to speculation that huge pay deals will be awarded. Profits at Barclays Capital, the investment banking arm of the high street bank, doubled to £1bn while at HSBC's investment bank the profits rose 125% to $6.3bn. Each bank reported overall profits of nearly £3bn despite a combined £13bn of bad debts caused by rising unemployment, making it more difficult for households and companies to pay back loans. Bank shares jumped sharply, pushing the FTSE 100 to its highest level this year. John Varley, chief executive of Barclays, turned to footballers to explain bankers' pay while Stuart Gulliver, who runs the investment bank at HSBC, used Hollywood stars. Varley said: "The football analogy certainly goes some way I think [to explain bonuses] ... There is simply no higher priority that to ensure we field the very best people. That in a sense is exactly the same as a football manager if they are going to win. Our obligation is to ensure we pay appropriately." THE SUNDAY TELEGRAPH: The Cuban president Raul Castro has warned the US and Europe he will not 'restore capitalism' and will never renounce the revolution. Mr Castro said the Caribbean country's socialist political system was non-negotiable. In a speech marking the end of the annual parliamentary session, which has been dominated by Cuba's grave economic crisis, he said he would be willing to "discuss everything" with foreign leaders except the island's political and social system. The Cuban leader, who succeeded his ailing brother Fidel Castro as president three years ago, said he wanted to respond to comments by Hillary Clinton, the US secretary of state, who has linked dialogue with Cuba to democratic reform in the country. "With all due respect, in response to Mrs Clinton, but also to the European Union ... I was not chosen as president to restore capitalism to Cuba or to renounce the revolution," he said to applause from Cuban politicians.